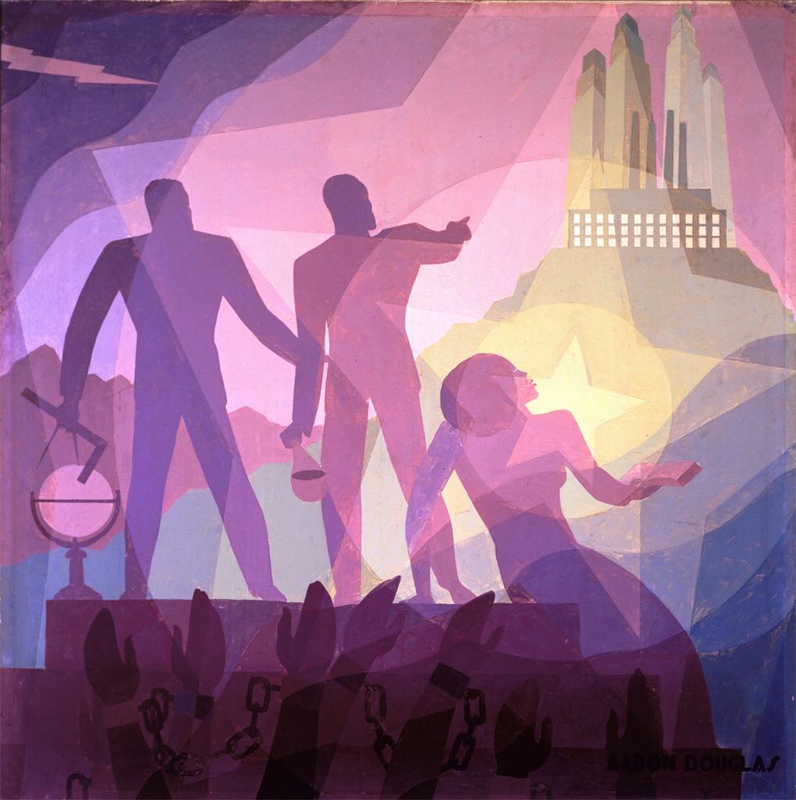 Aaron Douglas (1899-1979) was born in Topeka, Kansas to Aaron and Elizabeth Douglas. He moved to Harlem in 1925 and began producing illustrations for the two most important magazines associated with the Harlem Renaissance: The Crisis and Opportunity. Douglas became a famous painter and developed a modernist style that he combined with his interest in African and Egyptian design. This enabled him to express his African heritage and African American folk culture in his art. "He was considered the 'Father of African American arts' which led him to say 'Do not call me the Father of African American Arts, for I am just a son of Africa, and paint for what inspires me." Discussion of "Harlem Renaissance Artist Aaron Douglas, 1899-1979"
Version 14 id 360433 of this page, updated 29 April 2015 by Daryl Gyrl. Created by Daryl Gyrl. An Archive for Virtual Harlem by Jessica Johnston. Help reading this book.